In Tibet, there is a tradition of recognizing incarnations of great masters who have passed away. 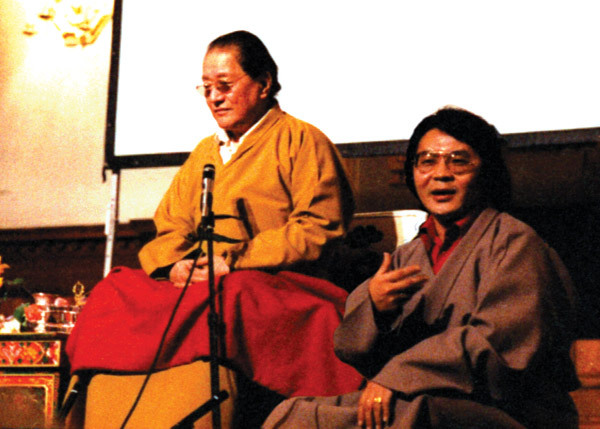 Sogyal Rinpoche was recognised as an incarnation of Tertön Sogyal Lerab Lingpa. Out of this was born his unique style of teaching, and his ability to attune these teachings to modern life, demonstrated so vividly in his ground-breaking book, The Tibetan Book of Living and Dying. More than 3 million copies have been printed, in 34 languages and the book is available in 80 countries. Sogyal Rinpoche founded Rigpa, a network of centres and groups offering the Buddha’s teachings through courses and seminars in meditation and compassion, as well as a complete path of study and practice that follows every stage of the Buddha’s teachings. Rinpoche has been teaching for over 40 years in Europe, America, Australia and Asia. He retired as the Spiritual Director of Rigpa in 2017, is currently in retreat and not giving public teachings. Since Sogyal Rinpoche’s retirement, Rigpa continues to offer courses, programmes, seminars and retreats led by its teachers and instructors, as well as visiting teachers and lamas, especially from the 'ancient' Nyingma tradition of Tibetan Buddhism.